Does your orchid need some TLC? 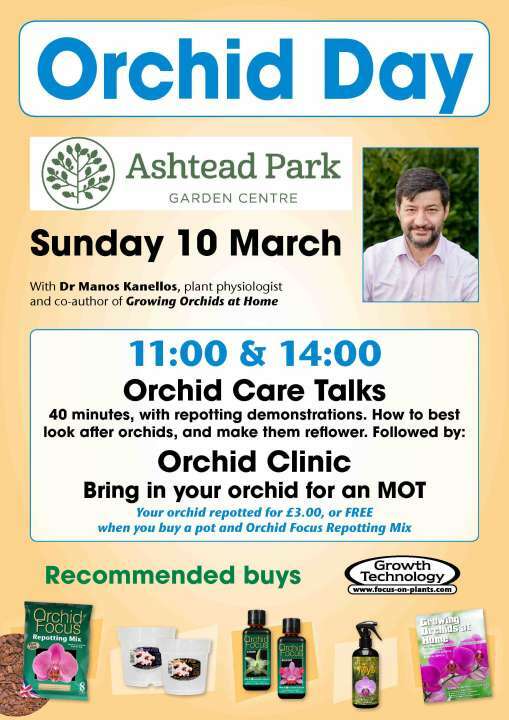 Come in and see orchid guru, Dr Manos Kanellos on Sunday 10th March for tips and demonstrations on how to get the most from your orchids! No need to book, just come along, we look forward to seeing you! Repotting £3 or FREE when you buy a pot and Orchid Repotting Mix.